There’s nothing that cat owners dread more than a cat who starts spraying. Whether it’s your own cat or a neighborhood cat that is spraying your doors and cars, spraying is one of the top reasons why cats wind up at shelters. Some believe that female cats don’t spray (this is untrue) and others believe that spaying/neutering cats will stop the problem (also untrue – but it will help decrease the frequency). Indoor cats who spray are usually doing it for an entirely different reason. Cat urine has a very distinct odor that repels people and causes other cats to begin spraying, creating a vicious smelly cycle. But, it doesn’t have to be that way. These days, there are many ways to keep this issue under control and your home smelling fresh and clean. Here is your definitive guide to stopping cats from spraying. We’re going to start with indoor cats who are spraying or eliminating in less than ideal locations (including your bed, the bathtub, the sink or the couch). Cats have their own way of communicating with us and their urine is, unfortunately, one of these ways. The best way to identify what your cat is saying is to look at the surface she is using for communication. If it’s a flat or slightly rounded surface, it’s inappropriate elimination. If it’s a vertical surface (like a wall or door), your cat is spraying. When the cat urinates on a bed, in a bathtub or anywhere outside the litterbox, it’s almost always due to a health problem. It’s important that you never punish your cat for this problem. The cat is doing the best he can to communicate to you, and you haven’t picked up on any of their previous signals, so urinating outside of the litterbox is his next best option. Your cat may also be associating the litterbox with pain. Since he may have the same symptoms we do when we have a UTI, and it has previously only happened in the litterbox, it makes sense to a cat brain that the box must be the reason for his discomfort. Generally the pain they are experiencing is due to one of 3 Medical Issues that May Stop Your Cat From Using the Litterbox, but there could be other issues at work as well (more on those in a moment). A cat is spraying when he backs up to a wall or other vertical surface. The cat’s tail will be almost vertical and will quiver a bit as he sprays. Spraying can be done by a male or female and this type of urine is much more concentrated than the usual elimination. When a cat is spraying, he’s usually upset about something – it may be due to a territorial dispute or a general dislike of a situation. It could be another cat entering his yard or home, a dog raiding his litter box, or even a new laundry detergent that is being used. Cats are highly sensitive to new things and they can be upsetting to even the most stable cat. She may be getting bullied by other animals, maybe you have moved his favorite couch to a different area, or the kids may be harassing her, or you might be diffusing essential oils in a room – any of these things can trigger a cat to be confused and upset. 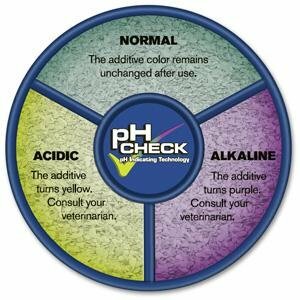 Chances are good, you haven’t had your cat into the veterinarian for a health checkup for some time. Now is that time. We know it can be difficult, but it’s so very important when your cat begins displaying these behaviors. Nearly all inappropriate elimination problems are a result of health conditions. There are a number of cat litters on the market these days that can help you identify if your cat has a urinary tract infection, but these are not 100% reliable. 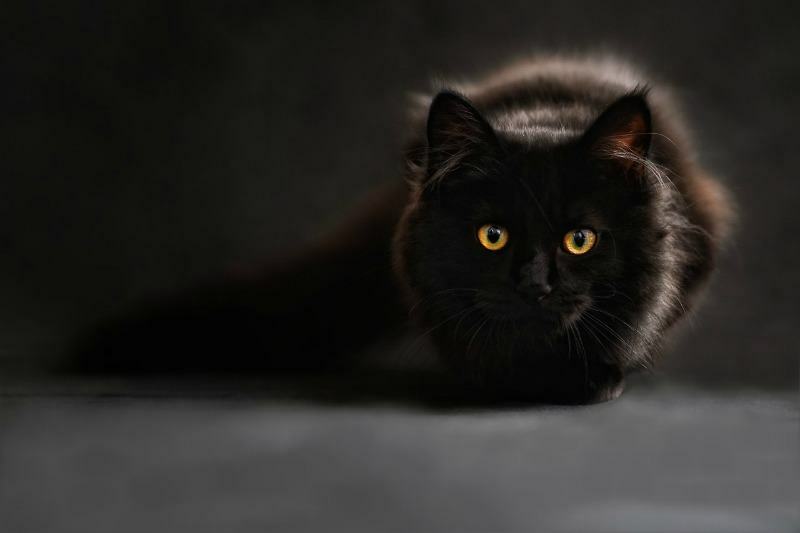 After having your cat diagnosed, you may want to monitor your cat’s urine output every few weeks by using a Diagnostic Cat Litters that Help Spot Health Problems. These litters are great tools, but it’s important to ask your vet to check for cystitis, urinary tract infections, bladder problems and other urinary conditions. If you have a senior cat, ask your veterinarian to check for possible stroke and conditions related to age, such as Feline Cognitive Dysfunction (or check out this piece on dementia in Caring for your Feline Senior Citizen). Most cases of spraying are a result of non-neutered male cats marking their territory, particularly in multi-cat homes or in homes where other cats are often seen nearby. Once your veterinarian has ruled out any medical cause, it’s time to evaluate environmental causes. The first step is to empty and clean the existing litter box. Some cats refuse to use a box because it hasn’t been thoroughly cleaned. If you’ve changed litters recently, go back to your prior litter. The rule of thumb for the number of litter boxes is one litter box per cat, plus one litter box. There are other problems that can crop up too. Does your dog have access to your cat’s box? It’s time to change that. Cats won’t defecate where they don’t feel safe. Block the room where you keep your litter box. Move the box to another room. There are also many types of tools you can purchase to keep dogs out of litter boxes (or out of their cat food). Does your cat hate the type of litter you’re using? Change it out or look at some of the other options available (we profile several of them in Cat Litter Matters). Does your cat hate the type of litter box you’re using? Some cats prefer litter boxes that are enclosed, while others prefer their boxes to have high-sides. Some prefer to be out of sight when they use the box, while others are perfectly fine to share a box with other cats. You may need to get creative. Cats are sensitive creatures and there are quite literally thousands of things that may be impacting your cat’s desire to use the litter box. Does she have clear access to the litter box or is a dog or other animal keeping her from easily accessing her litter box? Is she getting older and having more problems climbing into the box? Does the litter feel weird to them? Have you cleaned the box today? Have you changed anything recently? Cats are sensitive creatures and changing something as simple as the brand of litter you use can impact their decision to use the box. We’ve tried to help by providing a list of 10 Possible Reasons Your Cat Is Behaving Badly. Once you have identified the problem, you can resolve it. To keep a cat from returning to an area, use an enzymatic cleaner that destroys the proteins of cat urine. There should be no scent at all remaining on any item your cat has sprayed. One of our favorite products is from Urine-Off. It neutralizes the odor without hurting your floor or furniture, yet is strong enough to penetrate even concrete and floorboards. If you discover that a dog or other animal (or inanimate object) is cutting off access to your cat’s box, it’s time to change things up. Use tunnels, cat shelves, and gates to give your cats easy access to their boxes. There are a number of natural calmants on the market that may help, particularly if your cat is a bit on the “nervous” side. Feliway is one of our long-time favorites and the most effective on the market. This product uses pheromones to naturally calm your cat and help them feel more at ease. This product is available in a spray (used on bedding, near box, etc.) or a diffuser (helps keep cats feeling more at ease all day). 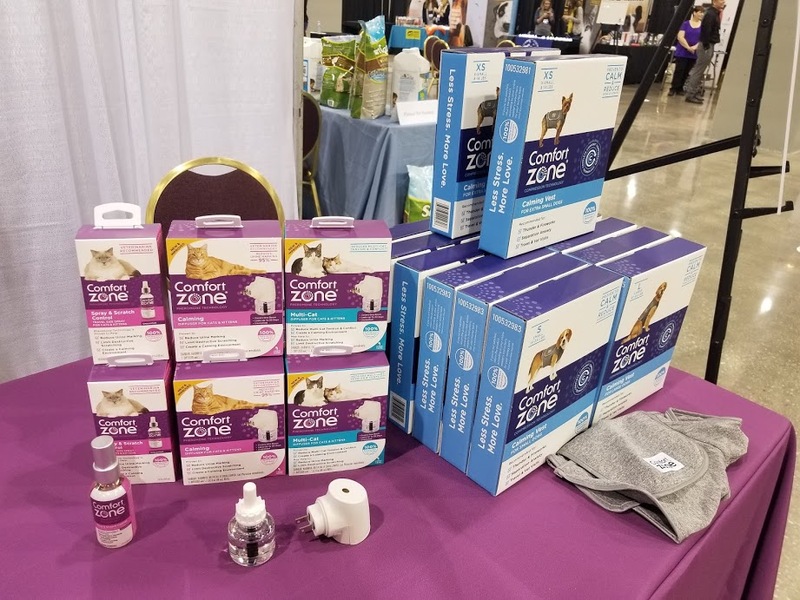 Comfort Zone for dogs and cats – now branded to resolve specific problems! If you are made aware of a health issues by your veterinarian, ask them about the use of supplements. One of our favorites is LICKS Pill-Free Solutions “Zen” Holistic Calming Remedy for Cats. Cats have very different reactions to medication than we do, which is why we prefer to avoid prescription medication when possible. Ask your veterinarian about supplements, such as Rescue Remedy. There really is no “immediate solution” to this problem – not even if it’s due to a health condition. Your cat may need to be retrained to use the litterbox after a health problem. Be patient and be willing to try more than one thing. Use a plastic bed cover for your bed. Control access to the litter box from other animals. Change your litter box daily. Add extra boxes so your cat has a choice. These are all simple things you can do to make your life easier during this time. Our cats give us a lifetime of love and you owe it to your cat to be patient as you resolve the problem.